The future of the U.S. Interstate Highway System is threatened by a persistent and growing backlog of structural and operational deficiencies and by various looming challenges, such as the progress of automated vehicles, developments in electric vehicles, and vulnerabilities due to climate change. Unless a commitment is made to remedy the system's deficiencies and prepare for these oncoming challenges, there is a real risk that the nation's interstates will become increasingly unreliable and congested, far more costly to maintain, less safe, incompatible with evolving technology, and vulnerable to the effects of extreme weather, says a new congressionally mandated report from the National Academies of Sciences, Engineering, and Medicine. The report calls for a 20-year "blueprint for action," which includes creating an "Interstate Highway System Renewal and Modernization Program," increasing the federal fuel tax to help pay for it, and allowing tolls and per-mile-charges on more interstate routes. The committee identified a series of challenges—both long-standing and emerging ones—that confront the future of the interstates. These include rebuilding the system's pavements, bridges, and other aging assets before they become unserviceable and less safe; adding more traffic capacity and demand management capabilities, especially on congested urban segments; ensuring the system's coverage keeps pace with changes in the location of the country's population and economic growth; improving safety as traffic volumes increase; adapting to changing vehicle technologies; adopting new user-based funding mechanisms that will generate the needed reinvestment revenues; and incorporating changing climate conditions into planning and design. For example, more than one-third of interstate bridges have been in service for more than 50 years and will require repair and renewal investments that will add significantly to the major outlays required for rebuilding the system's original pavement foundation. In addition, large metropolitan areas are expected to continue to account for most of the country's population growth, yet their interstates have little room to expand locally and are likely to require innovative solutions to accommodate growing travel demand. The committee noted that advances in technology—ranging from more efficient and faster construction methods and more durable materials to electronic tolling and increasingly connected and automated vehicles—could make the rebuilding of the Interstate Highway System and the allocation of its capacity more manageable, while also furthering the continual goal of increasing the system's capacity and level of safety. Congress should direct the U.S. Department of Transportation (DOT) and Federal Highway Administration (FHWA) to establish criteria for "rightsizing" the interstates—which would extend the system's length and scope of coverage and remediate disruptions caused by highway segments that are viewed as intrusive to local communities. These criteria should be developed in consultation with states, local communities, highway users, and the general public and take into account the needs of growing regions and cities for improved access to the transportation network, as well as the interests of jurisdictions that have been harmed by interstate segments that divide or isolate neighborhoods. In addition, Congress should direct U.S. 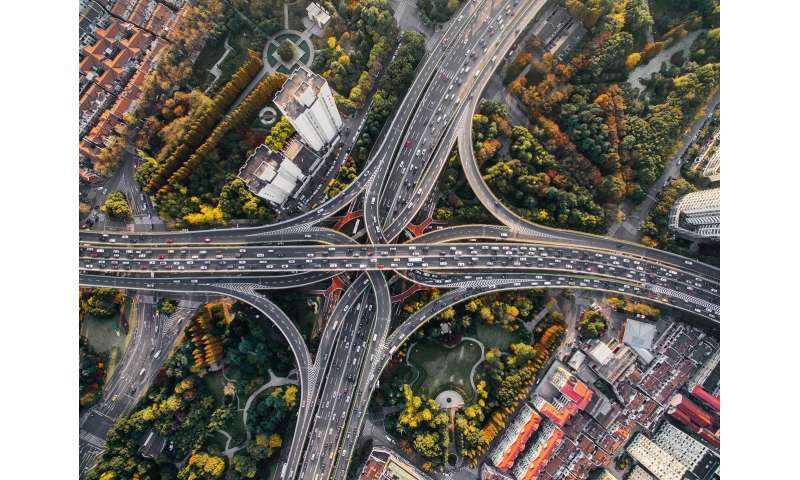 DOT and FHWA—working with states, industry, and independent technical experts—to start planning for the transition to more automated and connected vehicle operations, the committee said. This effort should entail the needed research and updates to Interstate Highway System requirements and standards to ensure that basic intelligent transportation system instrumentation is adopted on a consistent and systemwide basis, and that uniformity and other attributes of pavement markings, interchange design, and the like are capable of facilitating eventual interstate use by connected and automated vehicles.